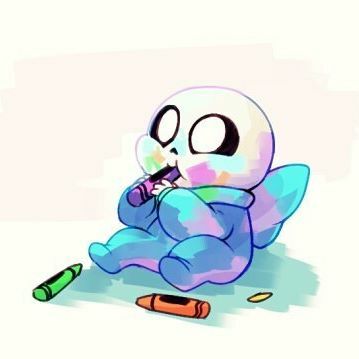 Baby UnderSwap!Sans Eating Crayons. . Wallpaper and background images in the undertale club tagged: photo baby sans cute crayons undertale underswap au alternate universe.